For centuries people have enjoyed the warmth and beauty of natural hardwood floors. Each hardwood floor is as unique as the trees they came from and wood's natural textures and subtle shades add an elegant charm to any room. 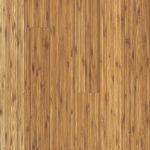 Today's hardwood flooring manufacturers have made tremendous advances in the manufacturing of wood floors and finishes. Hardwood floors are much easier to maintain, more durable and come in a wider selection of hardwood species than ever before.